I have had more success with the progeny of More Than Ready than any other trainer. 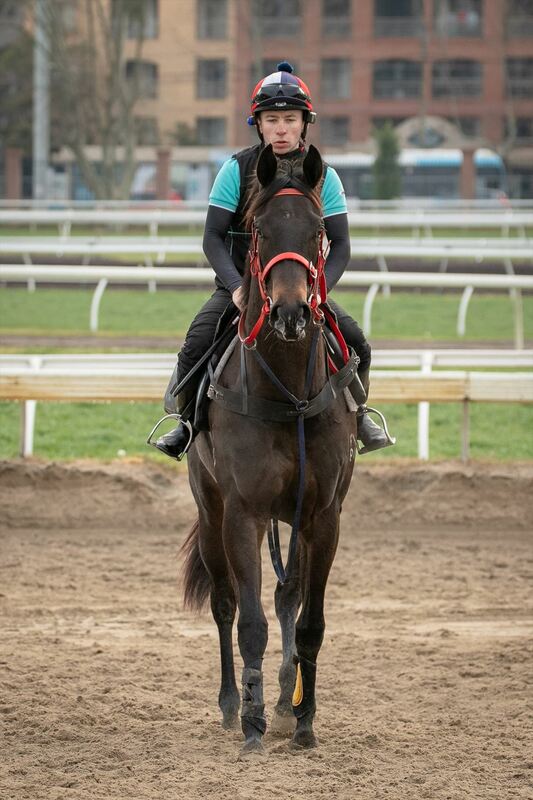 Her dam is a Stakes producer & this filly comes from the family of Group 1 VRC Newmarket Handicap victor, RAZOR SHARP. 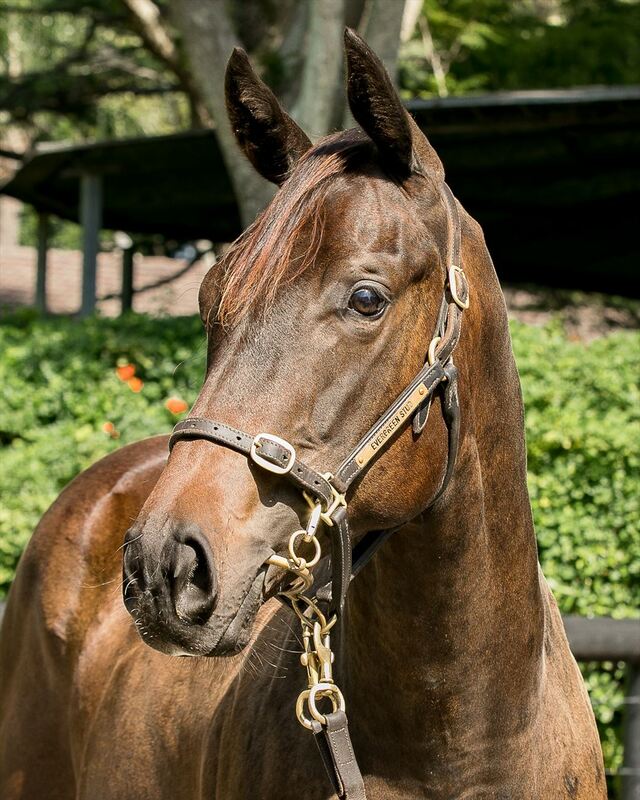 This filly is exceedingly light on her feet, she's got great size & scope & is terrific value. MORE THAN READY (USA) (Bay 1997-Stud 2001). 7 wins-5 at 2, Saratoga King's Bishop S., Gr.1. Leading Aust. Sire of 2YOs twice. Sire of 2385 rnrs, 1752 wnrs, 190 SW, inc. More Joyous (ATC Queen Elizabeth S., Gr.1), Catholic Boy, Sebring, Prized Icon, Phelan Ready, Benicio, Roy H, Samaready, Verrazano, Entisaar, Rushing Fall, Room Service, Regally Ready, Perfect Reflection, Dreamaway, Uni, Eagle Way, More Than Sacred, Perfectly Ready, etc. 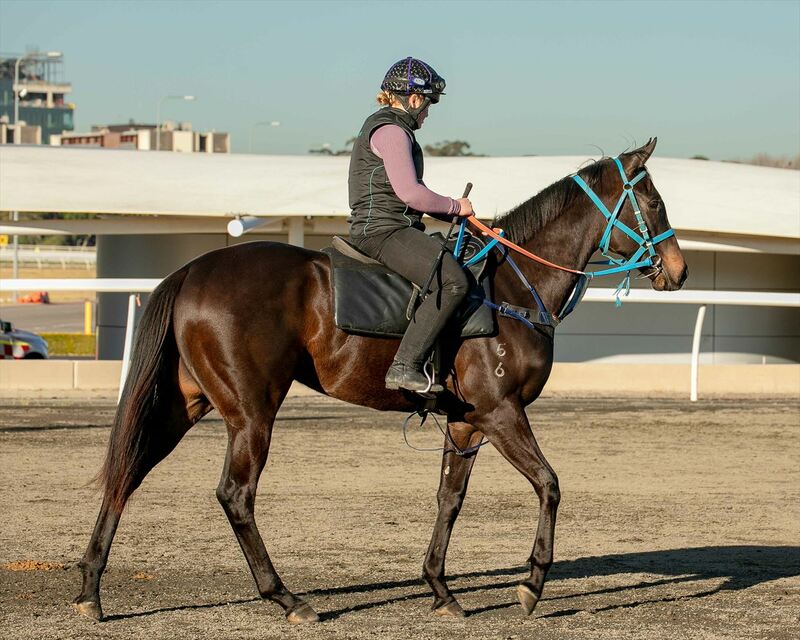 KID CHOISIR (g by Choisir) 7 wins-2 at 2-to 1200m, A$393,950, WATC Supremacy S., L, Belmont Newmarket H., L, Placid Ark S., L, Carlton Mid H., Northam H., WATC Perth Racing TV H., Westspeed 2YO P., 2d WATC RS Crawford S., L, Beaufine S., L, Perth S., L, Kilkenny H., Tabtouch.mobi H., 4th Northam Sprint S., L.
Misty Waters (f by Choisir) 2 wins at 2, MRC Swettenham Stud Sprint 2YO H., MVRC 4tracks4kids 2YO P., 3d SAJC Queen Adelaide S., L.
Bronte Express (f by Valixir (Ire)) Winner at 1600m, ATC Cas P., 2d ATC Coral Air P., 3d ATC Bowermans Office Furniture P.
Talbina (f by Choisir) Winner at 1600m, 2d MRC Mitavite 2YO H.
Set Sail (g by Arena) 2 wins at 2100m, 2200m in Aust. Gentle Ripple (f by Arena) Placed in Aust. Sha la La. 5 wins to 1500m in Aust. Smithtown. 3 wins to 1100m to 2017-18 in Aust. Friendly Seas. 3 wins. See above. COLISEO (g Arena) 6 wins from 1300m to 2000m, A$293,150, Murrumbidgee TC Wagga Wagga Cup, L, ATC The Links Shell Cove H., 2d Canberra Cup, L, Albury Gold Cup, L, ATC Sharp H., 3d Murrumbidgee TC Wagga Wagga Gold Cup, L, Canberra Cup, L, 4th ATC NE Manion Cup, L-twice. 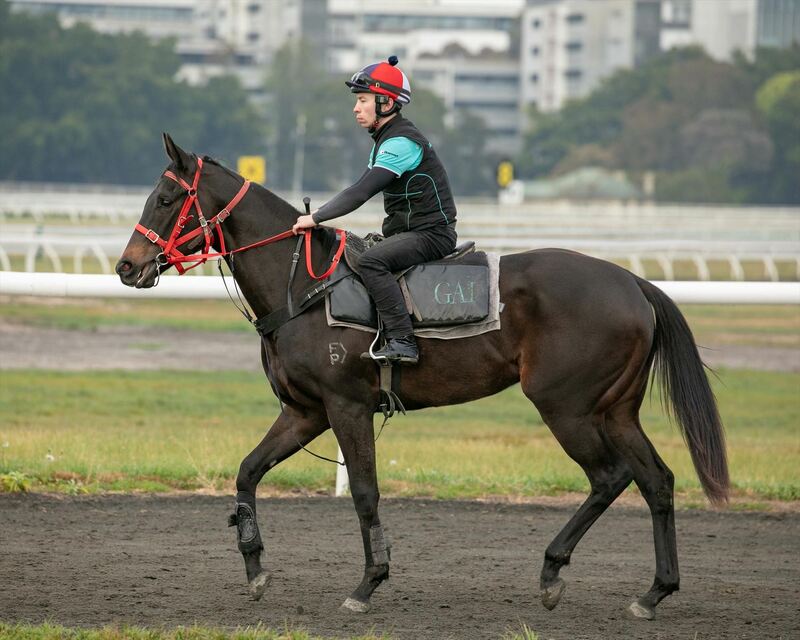 King Pulse (g Canny Lad) 2 wins at 1100m, 1200m, A$231,025, MRC Harrolds Fashion P., 2d VRC Coolmore Stud S., Gr.1, 4th VRC Newmarket H., Gr.1. Prince of Capers. 10 wins from 1250m to 1800m, A$424,095, VRC Fujitsu Air Conditioning H., ATC BAC Systems H., MRC Sportingbet H., AJC Milperra H., Busby H., ATC Royalrandwick.com H., SAJC P&R Electrical Wholesalers H., Sportingbet H., Oakbank RC Adelaide Thunderbirds H., 2d SAJC Schweppes Agrum H., Oakbank RC Mix 102.3 H., AJC Moore Park H., 3d VRC Flight Lieutenant Peter Armytage H., Oakbank RC Onkaparinga Cup. RAZOR SHARP (g Steel Pulse) Top of The 1981-82 & 1982-83 Australasian 4YO+ Classifications (1000m-1200m). 15 wins to 1200m, A$400,730, VRC Newmarket H., Gr.1-twice, AJC Challenge S., Gr.2-3 times, STC Missile S., Gr.3, Clarence River JC Ramornie H., L, Gosford RC Pacesetter S., L, 2d VATC Oakleigh P., Gr.1, AJC Galaxy H., Gr.2-twice, VRC Lightning S., Gr.2, MVRC AJ Moir S., Gr.2, STC Premiere S., Gr.3, BATC JT Delaney H., Gr.3, Newcastle JC Cameron H., L, 3d AJC Galaxy H., Gr.1, STC George Ryder S., Gr.1, VRC Lightning S., Gr.2, STC Canterbury S., Gr.2, AJC Shorts H., L.
STEEL BLADE (c Steel Pulse) 11 wins-1 at 2-to 1400m, A$112,860, AJC Challenge S., Gr.2, Bank Holiday S., Carramar H., STC Kelso H., Baguette Welter H., Lingfield Park H., James Ruse H., Burwood Welter H., 2d AJC Epsom H., George Main S., Galaxy H., STC Missile S., 3d City Tatt's RC Lightning H. Sire. SAIL TO GLORY (f Steel Pulse) 3 wins to 1400m, AJC Reginald Allen H., L, Settlers' H., STC Darlington H., 2d AJC Flight S., Gr.2, STC Monterey H., 3d AJC Light Fingers S., L, Carnivale H. Producer.